Thank you for welcoming me into your church family! I am blessed to be with you as the Coordinator of Youth Ministries. 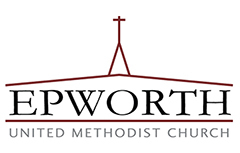 I look forward to getting to know everyone here at Epworth, so feel free to chat with me on Sundays or schedule a coffee date so we can get to know one another! Before moving to Durham in August, I called Shreveport, Louisiana home. I spent four wonderful years at Centenary College of Louisiana studying History, Political Science, and Geology. 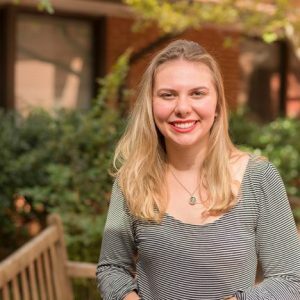 At Centenary, the Christian Leadership Center helped me discern a call to youth ministry and for the past two years I was blessed to serve as the Director of Youth Ministries at Love Chapel UMC. I am currently enrolled at Duke Divinity School seeking my Masters in Theological Studies. After Divinity school, I feel called to pursue a law degree and become an ordained deacon in the United Methodist Church. My life primarily revolves around studying for school, the youth ministry, and my cat. On any given day, you can find me studying, usually at Cocoa Cinnamon, or trying to find a team building exercise for the youth. My goal for the youth is to build a community and help them understand their faith while growing into the people they are becoming. I have one cat, her name is Catherine, and she and I love to watch Netflix together on rainy days. When I do get away from school, work, and Netflix, I enjoy running around East Campus, baking, and exploring Durham. A lot of change has taken place this fall, but I feel at home here in Durham and at Epworth.